The arctic cod is common throughout the Arctic and is a major source of food for seals, whales and seabirds. Recent research shows that even small amounts of oil can affect the growth of this vital fish, and lead to deformities and death. The arctic cod (Boreogadus saida) is a keystone species in the Arctic ecosystem, and is found in great numbers in the fjords around Svalbard. A study led by researchers at UiT The Arctic University of Norway shows that the eggs and larvae of the arctic cod are more vulnerable to oil spills than previously believed – even when the amounts of oil are very small. These finding were published in the prestigious journal Environmental Pollution in November 2016. During January–March the arctic cod spawns eggs that float up to the surface of the sea and if there is ice they settle just under it. This makes the arctic cod highly vulnerable to oil spills in ice-covered waters. Even though scientists know that the arctic cod is a species of great significance for ecosystems in the High North, very little experimental work has previously been done on the arctic cod’s eggs and larvae. “This research is ground-breaking because previously very few people have managed to rear arctic cod in captivity. We caught arctic cod while on expedition around Svalbard to study the polar night. We brought them to Tromsø and Kårvika where they stayed in tanks until they were ready to spawn a few weeks later”, says Nahrgang. Altogether, 12,000 eggs were used in the experiment. 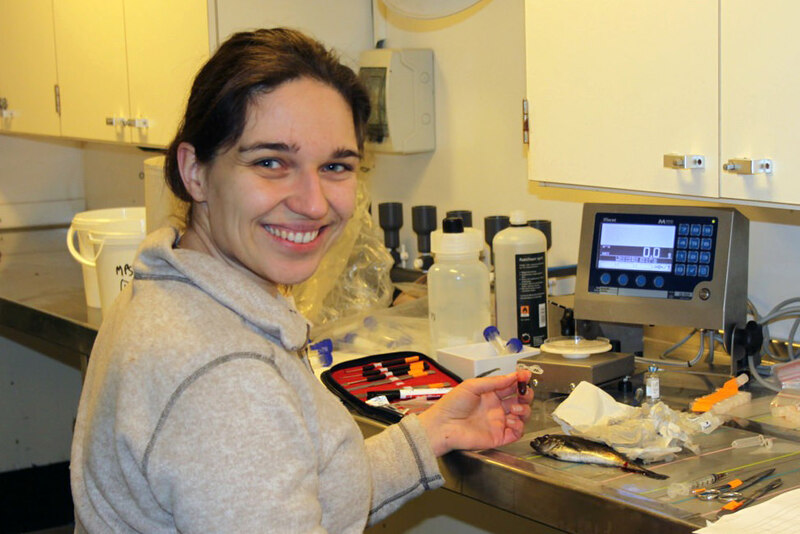 “The experiments were carried out at the Marine Research Station at Kårvika over a period of 37 days. The eggs were fertilised in the laboratory and transferred to four different concentrations of oil: control, low, medium and high dose. The embryos were exposed throughout their development until hatching, and effects on larval growth and deformities were measured”, Nahrgang explains. The startling result is that even minute quantities of oil may hamper growth, cause deformities, and reduce the probability of larvae surviving. There are predictions that this year will see record low ice cover ice in the Arctic, which increases the potential for more activities in the north. At the same time, the Norwegian government recently opened new test fields for oil and gas exploration further north than ever before. 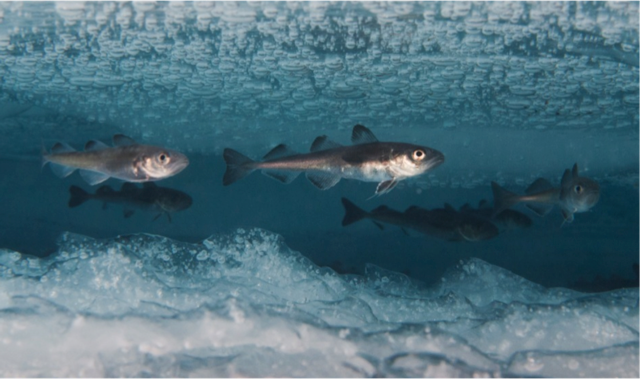 “It has often been said that the ecosystem in the Arctic is vulnerable, but our experiment really bears out this perception, as we see how small a dose is sufficient to affect the growth, survival and deformities of the arctic cod”, says Nahrgang. If there is an oil spill in frozen waters, the oil will probably be absorbed by the ice and then over time leak slowly into the water below. “We know that the arctic cod’s eggs will naturally float around on the surface and just under the ice – precisely the places that will probably be most affected by the oil. The study is therefore not only ecologically relevant, but also environmentally relevant, and highlights connections we were not previously aware of”, says Nahrgang. The arctic cod is an important link in the food chain because it is specialised on eating arctic zooplankton. Moreover, even though the species above the arctic cod in the food chain also eat other fish, especially in summer, arctic cod is often the only available food in winter, when migrating fish move south. Nahrgang J, Dubourg P, Frantzen M, Storch D, Dahlke F, Meador JP (2016) Early life stages of an arctic keystone species (Boreogadus saida) show high sensitivity to a water-soluble fraction of crude oil. Environmental Pollution 218, 605-614, http://dx.doi.org/10.1016/j.envpol.2016.07.044wind and current.